Lasers present some of the most innovative treatment options for patients, especially when it comes to aesthetic procedures. Syllette King, MD with an office in Orlando, Florida, is proud to provide some of the trendiest laser services available. Lasers bring a freedom that you can't really understand unless you experience it personally. 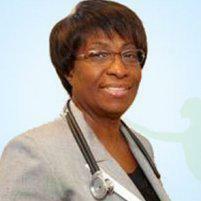 Dr. King offers that opportunity to her patients as part of her holistic approach to beauty and wellness. A laser uses focused light to treat or eliminate tissue. When used in a medical environment by a trained specialist like Dr. King, the laser creates a tight, narrow beam of high-intensity light that can do anything from remove hair at the root to provide an age-defying facial. What are the different kinds of laser services available from Dr. King? All these services focus on helping patients look and feel their best without complicated and potentially risky surgical treatments. Lasers are a very effective way to remove hair because it targets the follicle itself. The pigment in hair follicles can absorb the laser light, destroying the growing hair shaft. After a number of sessions, many patients find that laser hair removal treatments provide a permanent hair removal solution. There are many other benefits to this laser procedure, though. For instances, it is easy to target very small areas, such as the upper lip, with a laser. Lasers also work well for coarse hair that is difficult to remove completely most other ways. Are laser vein treatments safe? Laser vein removal is one of the safest ways to get rid of unsightly spider veins and tiny varicose veins. Dr. King targets the skin stretched over the veins, and the heat from the laser irritates the walls of the veins, causing them to collapse. Over time, the body absorbs the inactive veins and the spider web disappears. Laser vein removal may not be the right choice for everyone, though. Dr. King assesses each patient to determine if laser vein treatment is appropriate. For those with more serious feeder vein issues, it might be necessary to treat them first before attempting to remove the smaller veins. Dr. King may want to investigate the underlying cause of vein issues, as well, such as poor circulation or cardiovascular issues. How do laser facials work? Laser facials do two things. First, they lessen the effect of the sun on the patient's skin by removing dark areas and large veins. The laser also stimulates the collagen that gives skin its structure, helping the reduce wrinkles.